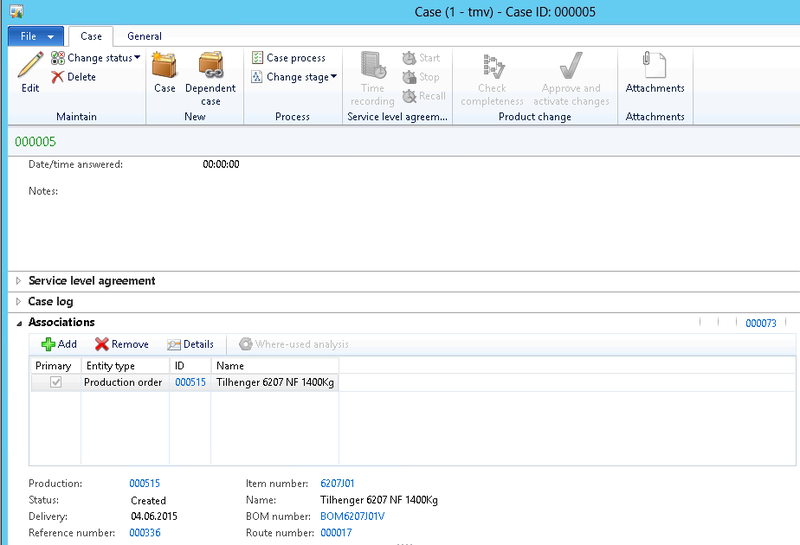 Case managment is a generic cross module solution where you can log cases with or without a defined process and keep a information. A case can be related to a number of various entities in the solution. Both categories and entities can be extended. Working with manufacturing companies we quickly came in to a lack of entities that our customers often wanted to associate a case with. Mainly Production orders and tracking data like serial and batch numbers. We also added a lot of other entities to our standard expansion solution to our customers. How to extend the entities? 1. Add your entities to the Entity type BaseEnum (CaseEntityType). PS: Remember to add 100 to the last enum in the list. Set the parameter “UseDefaultRoleNames” to “Yes”. 4.3 Edit the dynamic switch for the display. 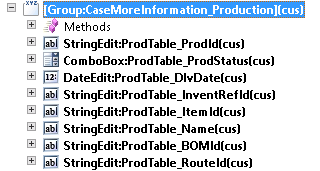 Edit the class: showMoreInformation located in methods on the root of form:CaseDetail. If you copy from the Sales order form you might want to change the “MenuItemName” parameter to a generic or production (in this case) to get the right category. 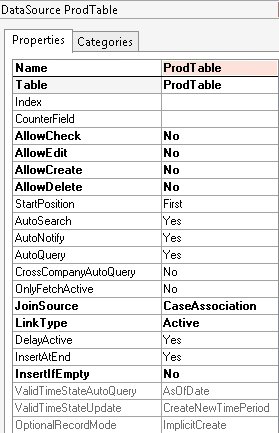 Remember that you can extend any type of entity to be a part of the case managment. Hope this post helps you to use it even more.